This post is sponsored by Weruva and the BlogPaws® Pet Influencer Network. 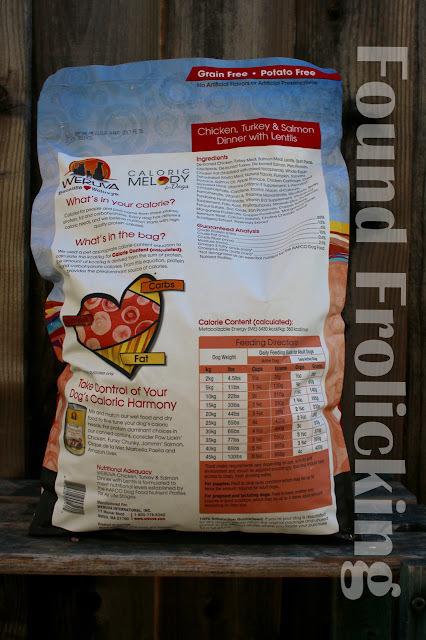 I am being compensated for helping create awareness around the brand new Caloric Harmony and Caloric Melody premium dog food product lines, but I only share information we feel is relevant to our readers. Weruva is not responsible for the content of this article. When I was growing up, our family included a beloved Akita by the name of Raja. He was only 7 1/2 weeks old when he came to live with us. Despite his good lineage, we saw his health begin to decline when he was barely out of his puppy stage. We chalked it up to bad luck, but I wish we had known then what most people know now about the importance role that quality dog food can play in the health of our dear animal companions. 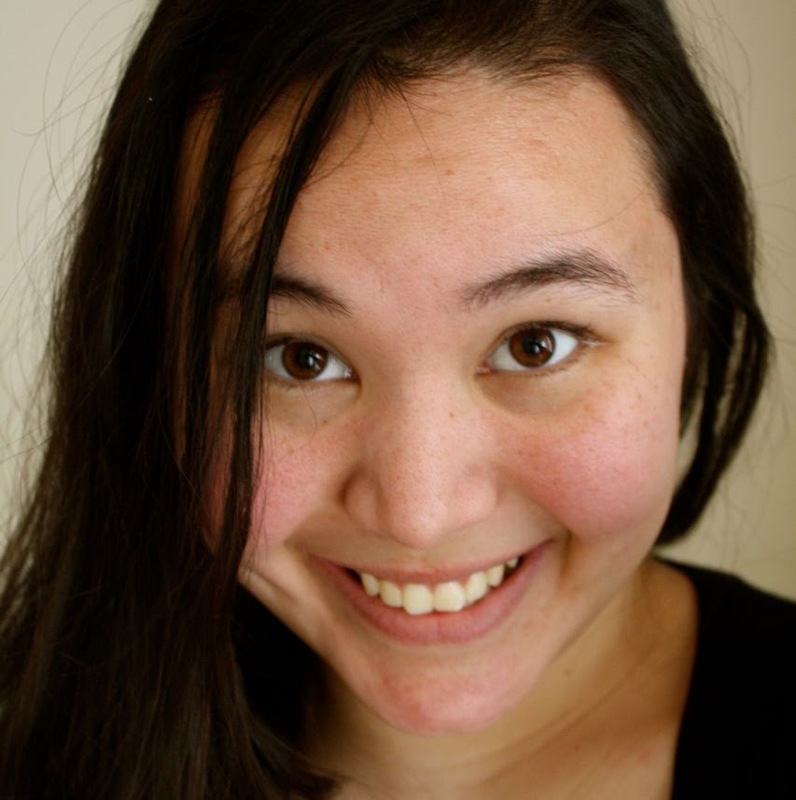 Better informed after years of working with---and around---animals, as well as doing as research (ahem---thorough Googling) helped me make better choices for our pets when I started a family of my own. Much like my childhood dog, Raja, our Chocolate Labrador-Retriever cross, Copper, came to live with us when he was 7 weeks old. Rather than following tradition and feeding my new puppy a popular store brand filled with a generous portion of low quality meat byproducts, an overrepresented portion of carbs designed to be filler, and unpronounceable preservatives and additives, I chose to go a different route. We decided early on to feed our dog a good quality dry food for dogs. It became apparent to us that the best care was preventative care to minimize costly vet bills and improve the quality of life for our dog---and that meant seeking a diet for our dog that offered optimal nutrition. So what is a better choice for dog food? There are certain things to look for. First and foremost: meat should always be the first ingredient. Dog food has come a long way in even the last 15 years as we've come to better understand the nutritional needs of man's best friend. With the abundance of information available about better ways to help our dogs maintain good health, the choices of quality dog food are better than ever. The Weruva® formulas for dogs include options for responsibly sourced, quality protein such as venison, salmon, lamb, turkey, and lentils. With six different formulas of dry dog kibble for all life stages, there is a great option for every dog---even picky eaters. Weruva's low fat dog food options even contain pumpkin in their products to aid healthy digestion. 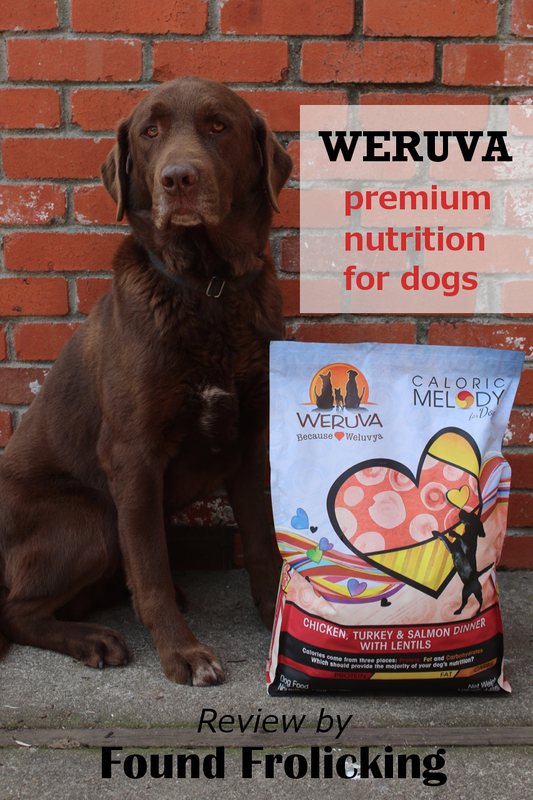 Tons of information about the Weruva Caloric Harmony for Dogs and Caloric Melody for Dogs formulas can be found on their website. Copper is now 7 years old, and he's come a long way since his puppyhood. Although he's getting up there in age, I'm happy to report that he's healthy (his veterinarian said so!) and happy as a clam (at least as far as we can tell). I am so glad to have a premium dry dog food which we can rely on, one that I know is designed with the nutritional need of dogs in mind. 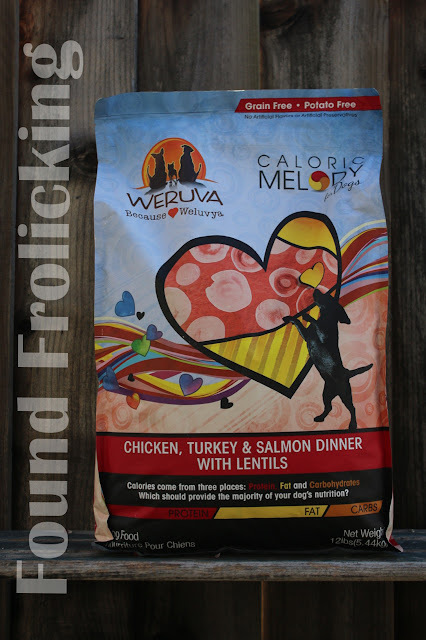 Copper has enjoyed every Weruva product he has tried, but he is currently enjoying the Weruva Caloric Melody Chicken, Turkey & Salmon Dinner with Lentils formula. 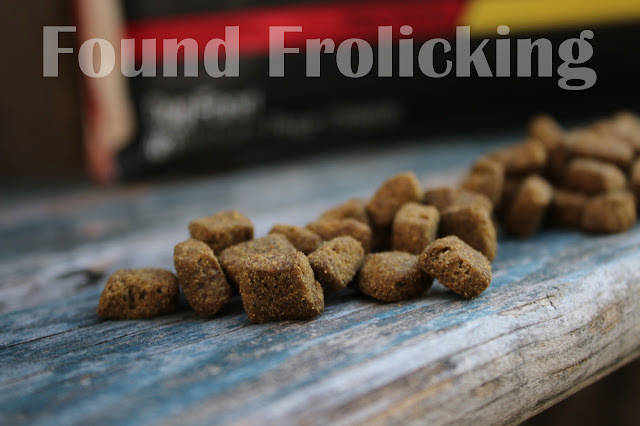 He's been on this great dog food for several weeks, and we've noticed a difference over his previous grain-free dry dog food. Thanks to the great nutrients in this Weruva dry food---including salmon oil, linoleic acid, zinc, and B vitamins---which promote healthy skin and coat, we've noticed it is more glossy and less dry---something even I envy! With the high quality, all-natural ingredients, it's easy to see why Weruva Caloric Harmony and Weruva Caloric Melody are great options for a healthy diet for canine friends. Find out more about why Weruva dog food is a great choice for your canine companions. 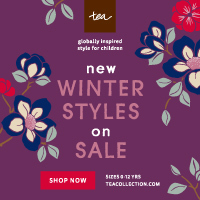 Click here to purchase Weruva products today! 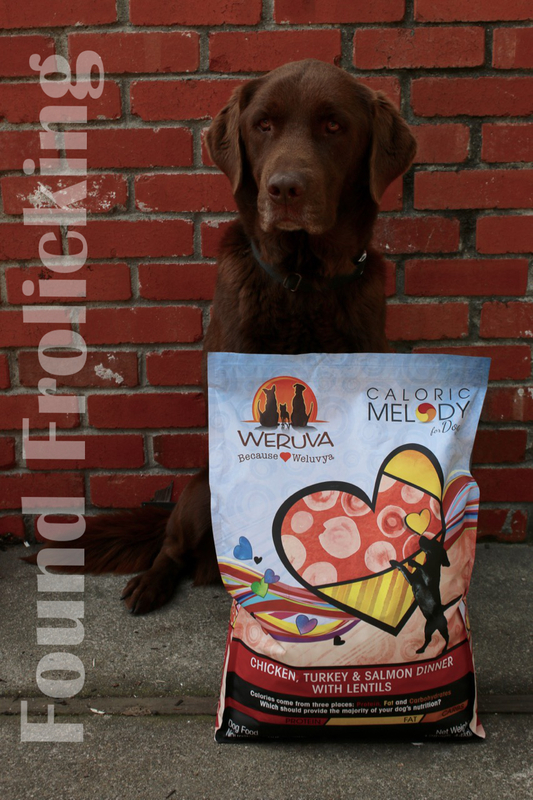 It was love at first sight for Copper and his new formula of Weruva Caloric Melody! 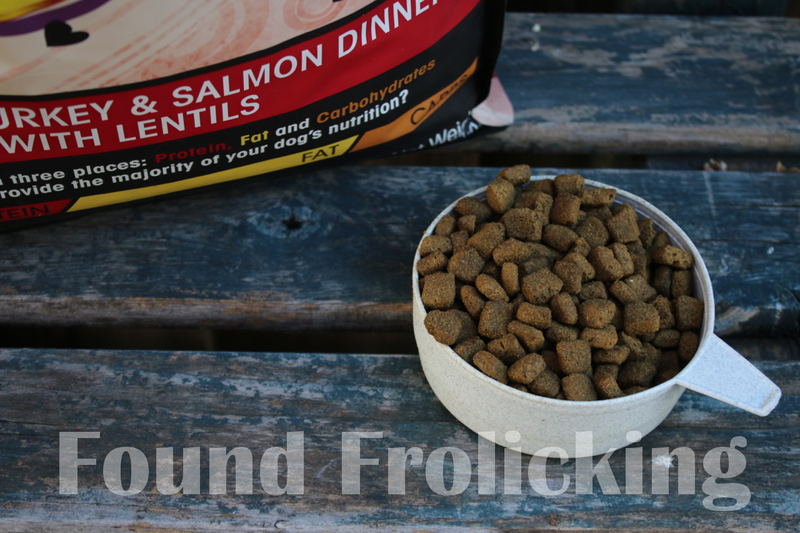 Our dog loves this superior formula featuring protein sourced from chicken turkey, salmon, and lentils. 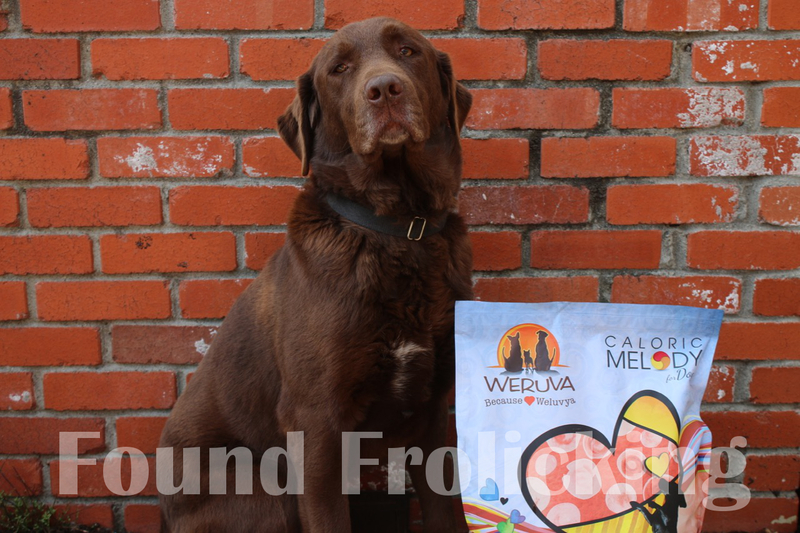 Only the best ingredients (including boneless meat sources) are found here in this Weruva Caloric Melody for Dogs formula. Copper is impatiently allowing me to take a picture of him with his new food before trying it for the first time. 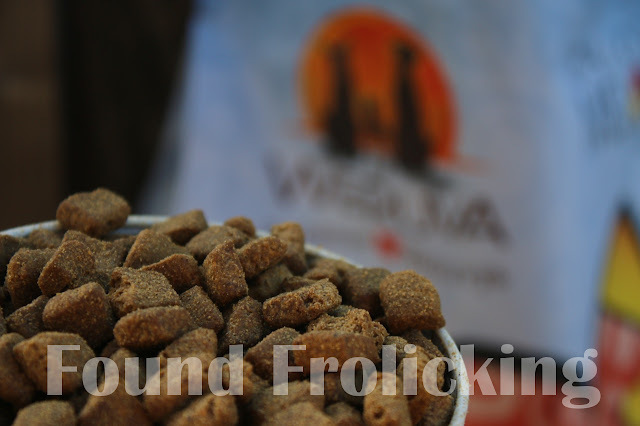 This Weruva dry dog food has all the right things to keep dogs both happy and healthy. 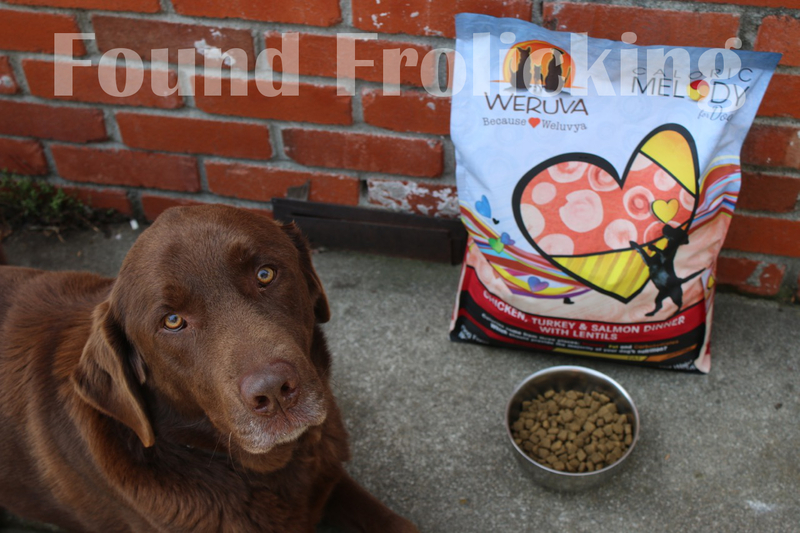 There's lots to love in this great dog food formula from Weruva---including both pumpkin and seaweed for digestion. Copper says, "Caloric Melody is the way to go, my friends!" Weruva currently offers six quality formulas of dry dog food so you can find the one that's right for your pet. Copper is ready for mealtime! 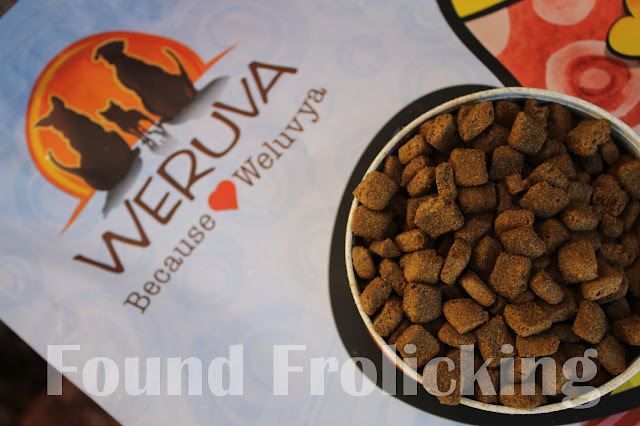 Even the size of the Weruva dry dog food is perfect---for dogs both great and small! Disclosure: This post is sponsored by Weruva and the BlogPaws® Pet Influencer Network. I am being compensated for helping create awareness around the brand new Caloric Haromny and Caloric Melody premium dog food product lines, but we only share information we feel is relevant to our readers. Weruva is not responsible for the content of this article. Sounds like great ingredients. I have not heard of this before. Good ingredients! not a lot of filler. I also had an issue with my first dog, not ever knowing what food was right for him. When we had Lokii, our second dog, we made sure we provided him with the food he needs for proper nutrition. Thanks for sharing your experience with this brand. Sounds like great ingredients for the dogs nutrition and health! this looks fantastic. i'll have to check it out for my dog, i bet he would love. This seems to be a quality dog food. If I had a dog, I would certainly give it a try. I raise show Labradors, and am always researching new foods. Thanks for this--I'll check it out! I don't have a dog--but I think I would buy that dog food just because of how pretty the packaging is. I know, horrible reason--but still!!! I haven't heard of this before, but it sounds like it could be good for my dog Sadie. I haven't heard of this brand but it sounds like a good one. Your sweet Copper definitely deserves the best! I don't have a dog but I know how important it is to give them good food. I do plan on being a dog owner in the future so I will keep this brand in mind. I remember how my shih tzu used to be very picky about dog food. We ended up making homemade food for him everyday. This would be a great option though. I think my dog would love this. It's looks good and healthy at the same time. I think It is the best pet products for all types of pet which we have in our home, I am also looking for best healthy food for my doggy. Find the all Pet Nutrition Products & supplements products at lowest price. Green Scene Mom 2016 Award Winner Giveaway!